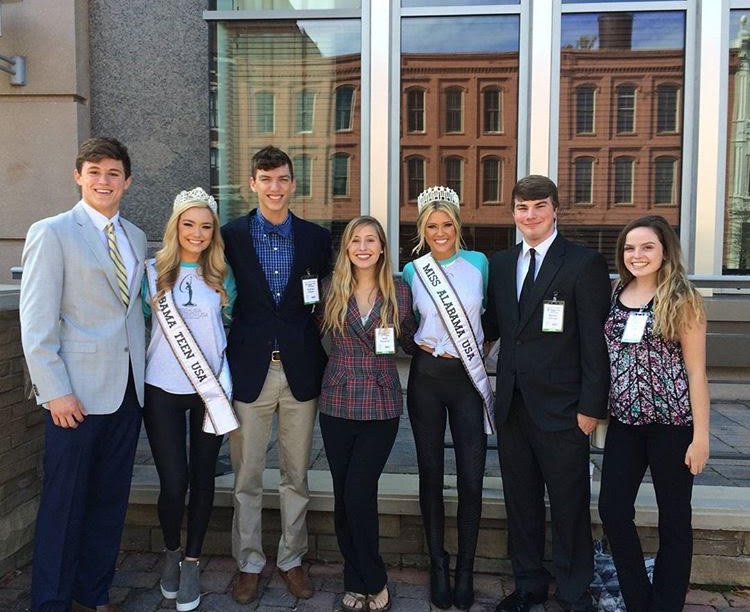 The Alabama Youth and Government competition is a program sponsored by the YMCA. Their website describes the competition as "a three-day Mock Trial Competition for High School Students in grades 9-12.” The competition shows students looking forward to a future in the legal system, how trials and prosecution along with the defense works in “mock” trials. The students are given a fake case and are either placed on the prosecution, trying to find the defendant guilty of his or her charges, or they can be placed on the defense, trying to find their defendants innocent of their crimes. This is the first year Baker has participated in this event and we hope to see future students take advantage of this program. If interested in taking part in the Alabama Youth and Government Competition, see Mrs. Waltsgott for more information. Baker attendants of the competition alongside Miss Alabama and Miss Alabama Teen.